Beneficial Roofing is an award winning roofing services provider serving the great community of Rockwall and adjacent areas. Over the years, we have stood out as the go-to option for residents and business owners who want quality commercial and residential roofing assistance. We offer world class blue tarp service that protects your residential and commercial building immediately. We guarantee you excellence in workmanship and quality of service. In our ranks are experienced and well-trained roofers who work hard to deliver an output that exceeds our customer’s requirements. We choose the best roofing materials that have been designed to guarantee durability, style, comfort, and elegance. Moreover, our roofing materials are designed for durability. As your trusted Rockwall wind roof damage contractor, we will always aim at delivering beyond your wildest expectations. Beneficial Roofing is a local company, serving the unique requirements of commercial and residential property owners in Rockwall and adjacent neighborhoods. We are a roofer of the people and for the people and have deep rooted connections to the area. You can rely on our expertise and trust us to be present whenever you need us. We seek to build a long-term relationship with our esteemed customers. 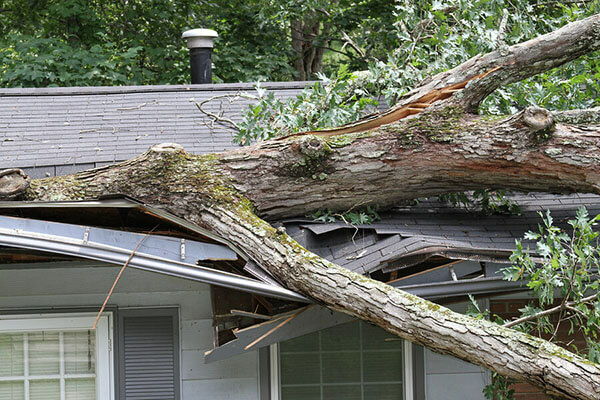 We Have Immense Insurance-Restoration Expertise Over a couple of years now, we have helped take the load off our residential and commercial property owners when dealing with insurers, especially when it comes to storm-related claims. We have perfected our processes to ensure that our customer’s claims get processed faster. At Beneficial Roofing, our experience, which spans over many years can work for you. We have mastered how best to do roofing and how to deal with problems and solve emerging challenges. We are able to take on any size of a project no matter their complexity. By letting we do your roof, you can rest assured that our experience will work for you. We understand the benefits that our customers derive by getting the best roofing warranty that the market can offer. We only work with manufacturers of roofing products that offer lifetime material warranty. When this is combined with our labor warranty, each of our customers can remain at peace. As the leading Rockwall hail roof damage contractor, we will always strive to ensure that our customers can enjoy the best warranty. To guarantee you peace of mind, we ensure that we have adequate general liability insurance. We also ensure that all our staff is bonded. This means you can rest easy when our contractor is working in your premises. Whether you are dealing with storm roof damage, flood damage or any other, you know that Beneficial Roofing offers you the best value for money. We offer customer satisfaction guarantee, use only high quality and environmentally friendly materials. Our rates are among the most competitive out there. talk to us today for a free and no obligation roofing estimate and we promise to provide you the best available services in the market today.